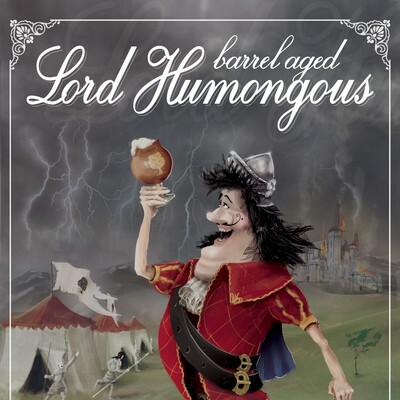 Our next barrel aged release is Lord Humongous Barleywine on Saturday 4/27. This big beast of an ale is packed with sweet malt and dark fruits. We have two barrel aged versions this year, both will be available on tap and in 2 packs of 12 oz cans when we open at 11am. The first was aged for over a year in Four Roses Bourbon barrels adding complexity and notes of bourbon, vanilla, oak, and spice. We were also able to secure some very unique barrels from our friends at Oppidan Spirits. These barrels first held Islay Scotch and then Oppidan’s Bourbon. The resulting beer has the peaty/smoky Scotch character up front, but the additional bourbon aging keeps the Scotch character smooth and adds notes of bourbon and vanilla.